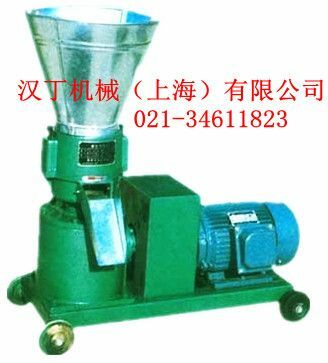 The animal feed flat die pellet machine can produce animal feed, organic-inorganic mixed fertilizer, bio-organic fertilizer; the pellets produced are even, smooth, full, strong and with high fluidity. 2. Two levels moulds: low cost, energy saving but high efficiency. 3. Circulatory oil system with two purposes: cooling the gears temperature and lubrication action. Q: How dry does my material need to be to pelletize? A: Typically under 15% moisture is premium. We can pelletize up to 40% with certain feedstock, however for fuel pellets the feedstock needs to be below 15% to make a burnable pellet. Green wood chips or freshly cut grasses etc do not make viable fuel pellets. A drying system would be required for green wood waste. Q: Do you sell drying systems for wet material? A: Yes,we build quality biomass drying system, these are typically for larger installations 1 tonne+ per hour. Q: How big does the feedstock need to be? A: For most pellets we recommend 1/4 inch minus grind. Hops and other heat sensitive materials can be ground through our 1/2 inch screen to prevent heat build up. Q: Do you have PTO or diesel driven pellet mills? A: Yes. We supply the diesel driven pellet mills. These mainly for lacking electricity. Please contact us for more information. Q: What type and size of pellets can I make? Copyright© Shanghai Handing Machinery science and technology Ltd All Rights Reserved.